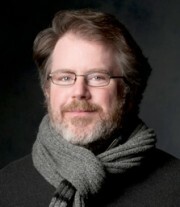 Neil Barclay has been acting at The Shaw Festival for over 20 years. Neil and I first met in at John Abbott College, not far from Montreal. We were both studying theatre. Neil went on to study at The National Theatre School and has had a long and successful career. We discuss his early years while training as an actor. We also discuss the impact his father’s death had on his life as an only child. Finally in discussing lengthy careers, Neil pays tribute to the legendary Shaw Festival actor Al Kozlik. Check out episodes that also mention acting, Montreal, National Theatre School, shaw festival.